A Park Avenue Studio is the home base of Janette, a belly dance teacher in Monterey. She organizes monthly belly dance performances here, under the name of Casbah Cabaret. 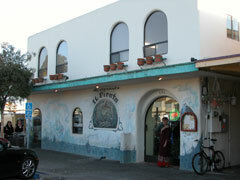 It is located close to Fisherman's Wharf and Monterey State Beach in Monterey. 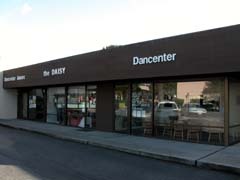 Dancenter has three dance studios where classes in several dance denominations (break dance, tap dance, ballet, belly dance...) are offered. The Marrakesh Express events are held there, and it is also used for special workshops. It is located just south of the Capitola Mall on the left side of 41st Avenue (across 41st from OSH, close to Goodwill). E3 Playhouse is a local Santa Cruz hotspot that organizes a variety of events, from jazz music concerts with swing dancing to poetry recitals and belly dance performances. They also have occasional dance classes, mostly salsa. 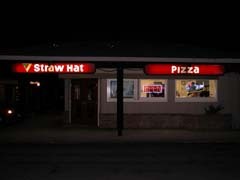 They serve good food and have a full bar. 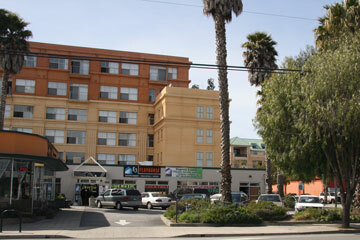 It is located in downtown Santa Cruz. Unfortunately, this restaurant has closed it doors after a protracted fight with local government over its permits. It's definitely a loss for our community. 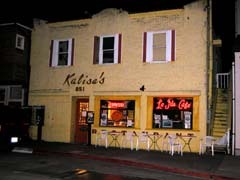 Kalisa's La Ida Cafe is a small and very nice venue in Monterey that has belly dance performances every Friday night from 9pm to 11pm. There are often a dozen different dancers performing. It is great to have such a beautiful venue with a supportive audience so close by! It is located on Cannery Row right across from the Monterey Aquarium - follow the signs to the Aquarium, it is really hard to miss! Parking on Cannery Row is hard to find, but a block or two away from it there are plenty of metered parking spots that are free after 8pm. Expect a cover charge of $5. 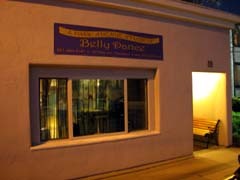 Unfortunately, Kalisa's has been sold per February 2007 and will no longer be hosting belly dance events. A local restaurant with Lebanese and Italian cuisine featuring belly dance performances on Fridays and Saturdays. It's in a top location in our area, right on the beach in Capitola! Cozy atmosphere, great view over the bay. Unfortunately, this restaurant has changed ownership in early 2007 and now serves Italian food - it's no longer a belly dance venue. 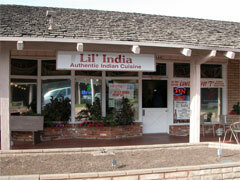 One of the few Indian restaurants in the Monterey Bay area regularly offers performances by local belly dancers. Crystal organized her semiannual student's night here. Good food, nice atmosphere! It's located in a strip mall on the outskirts of Watsonville. Look for it on the left side of the mall, almost in the back. Unfortunately, this restaurant has closed at the end of 2006. 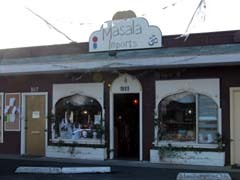 Masala Imports organizes a couple of haflas every year during the summer in front of their store. Very laid-back, very Santa Cruz... Good Indian food is to be had for a reasonable donation during the haflas, and you can even get yourself a henna tattoo! They have their own dance studio next door where several local teachers, including Moira, give classes. They are located at the far end of 41st Avenue in Capitola (past the Capitola Mall, over the railway crossing). Menara is a Moroccan restaurant in San Jose that features lots of belly dance performances and good Middle-Eastern food. Crystal organizes her semiannual student's night here now. Gish Road is divided up in three parts, so it can be a tricky location to find without directions! A rather unlikely venue for belly dancing, but a local attraction! The owners are very friendly and have belly dance evenings ("Pizza Raks") on a regular basis. 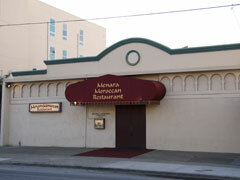 Unfortunately, this restaurant has changed ownership in early 2007 and is no longer a belly dance venue.